By Hayden Shearman // Your training for the 2017 Rotorua Marathon should be in FULL swing now. 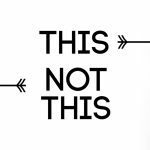 If it’s not … here are five much needed kicks up the proverbial. The weekends beginning 1st, 8th, and 15th of April are critical for banking mileage and inching closer to your target distance. As I’ve mentioned in previous blogs, marathoners should aim to run about 35k (or 3.5 hours—whatever is shorter) three weeks out from race day and half marathoners should run at least 17k. A handful of long runs over the next month will set you up with the endurance to crush it on race day. And remember, you’ll start your taper, pulling back your mileage, from 2-3 weeks out from race day, so the next three weeks a critical. Get on it! Don’t be tempted to run these long runs fast. They are still geared around building aerobic endurance and training your body to handle time on your feet. Running these long runs faster than a conversational pace will also sacrifice some of the quality sessions you can include in the rest of your training week (see next point). If this year’s race is your first ever half or full marathon then disregard this point, but if you’re after a quicker time in the full or the half, then you’ll also want to include a very gradually increasing quantity of faster running. 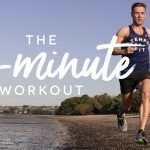 Strides: Performed towards the end of an easy run, strides are short bursts of faster running, not sprinting, designed to reinforce good technique and break you out of the monotony of slower marathon-style running. e.g. 6×10 seconds or 4×20 seconds (with 90 seconds jog recovery after each effort). Tempo Runs: At this stage in the marathon build up I’ll perform tempo runs with a combo of two paces. One is at race pace (either half or full marathon pace) for 20-60 minutes and the other at lactate threshold pace (what you could hold for an hour) for 15-40 minutes. e.g. 20mins @ marathon pace, jog 5mins, 20mins @ lactate threshold pace OR 10mins @ marathon pace, 20mins @ lactate threshold, 10mins @ marathon pace (no jog recoveries between efforts). These workouts promote excellent physiological adaptations for half and full marathoners, but, more than that, their psychological adaptations are enormous, building mental toughness and familiarity with race pace. On its own, marathon training is unhealthy. And no, that’s not a typo. I’m a running coach and a marathoner, but I still firmly believe that marathon training by itself can leave our health off balance. For example, marathon training doesn’t promote full body fitness, it encourages an awkward plodding running style, and leaves us excessively fatigued for enjoying the rest of our lives. So finding a balance is key, even in this high mileage block of training. The balance might mean still including a cross training session each week, getting out for regular short walks to promote blood flow and recovery, and keeping up your core work, stretching and foam rolling. And, remember, it only takes a couple of minutes to jump on the foam roller or do some ab or glute med exercises. You’re almost there! Once through the next month of training you’ll be in taper mode and packing your bags for Rotovegas! The start line is just around the corner, so put your head down (actually, no, put your head up and hold good posture and great running form! ), put one foot in front of the other and get this thing done. You got this! 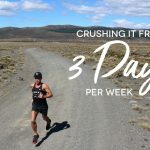 This entry was posted in Training Tips, Uncategorised and tagged half marathon, marathon, marathon coaching, mental toughness, Rotorua Marathon, tempo run. Bookmark the permalink. ← Kiwi Running Show – 040 – So Much Action!